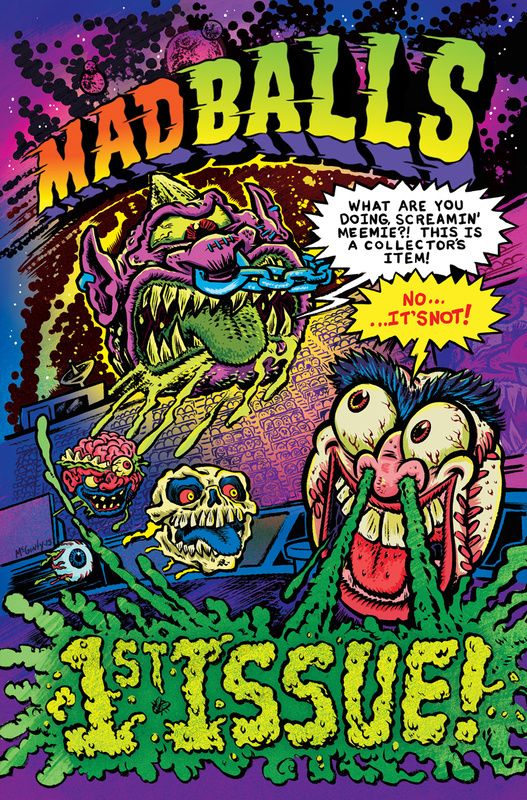 Madballs returns to gross us out in comic book form! Today marks the launch of a new 4-issue volume of Madballs comics by Lion Forge's Roar Comics. The 1st issue is now available at local comic shops featuring three variant covers and can also be downloaded from Amazon and Comixology. 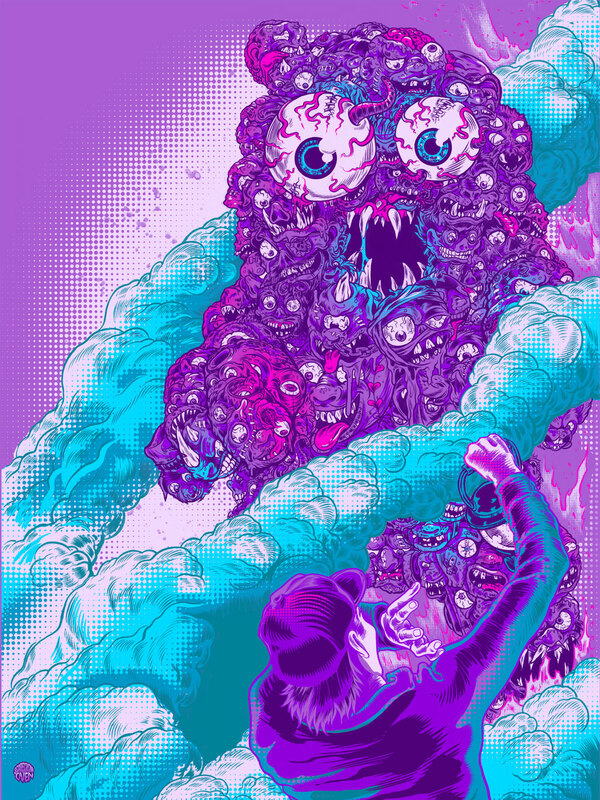 Each comic will have a main story by Brad McGinty (Adventure Time) and Brian Smith (Stuff of Legend) as well as backups by Scarecrowoven, Gunsho, Dan Zettwoch, Jenny Zych, Sean Dove, Jesse Balmer, Jimmy Giegerich, and Matt Crabe. The Roar Comics team has really "crammed as much degeneracy as possible into each issue before running out of pages." Screamin’ Meemie, Bash Bash, Skullface, and the rest of the Madballs from the hit toy line are back in this grosser-than-gross new adventure! You thought – no, HOPED – those creepy heads from the ‘80s were gone forever, but boy, were you wrong! When the headless Torsoids sabotage the Intergalactic Bizarro Bowl, the squabbling Madballs have to team up to take ‘em down -- Madballs may be dirty, but they like to play fair. These wretched pus bags have to set aside their differences, reassemble the field’s elaborate wacky contraptions, and find a way to stop the Torsoids before it’s too late. With bonus stories by some of the world’s most disgusting artists, this volume is packed with so much mayhem it’s almost illegal in several states! It's pretty unbelieveable to me that Madballs has been given a second chance. The gross-out humor really isn't present nowadays and for Roar Comics to market it to their kid-centric audience is really great. Unfortunately, today's kids really don't have the popularity of the toys (like I did as a kid) to really connect with the characters so I would honestly be surprised if there is anything produced beyond this 4-issue volume. Welcome to the Bizzaro Bowl where the Screamin' Meemies will be taking on the Horn Heads to see who can survive a gauntlet of destruction! I can't express enough how glorious the artwork is in this first issue. There is no rhyme or reason to the game rules of the Bizzaro Bowl which suits the characters perfectly and allows the writers to create a really fun sports atmosphere even for non-sports fans. I also enjoyed the "Night of the Purple Putty Tat" short story that features a purple blob essentially made from hundreds of Madballs characters. The story itself has a B-movie creature feel to it with modern-style art. The final section of issue #1 is titled "Ye Olde-Tymer's Game" and uses more traditional comic art with silly humor and lots of Madballs characters. Go pickup Madballs #1 at your local comic shop today or download from Amazon or Comixology today!